This back to school season is an exciting one for me. My husband and I have made the choice to homeschool our preschooler rather than send her to preschool 2 days a week. We did send our oldest to preschool for two mornings a week when he was 4 ½, but our situation is different now-where we live, how much preschool costs in our area, and the needs of our children. Each of us has to decide if paying for preschool is worth it for our child. Deciding whether or not to send your child to preschool can be tough, but you do not have to send your child to preschool for them to be fully prepared for Kindergarten! This post contains a product review. I was not paid to share this with you, but am always happy to share great products with you that can be helpful in your home! Please view my disclosure. I know from my oldest, that he was fully prepared for preschool and Kindergarten just with the simple activities that I have always done with the kids at home. In a way, I am always a part-time homeschool mom with all of my children because I supplement their learning so much at home. It is fun to learn together and when we use simple activities and tools to teach our children at home, the task is less intimidating. 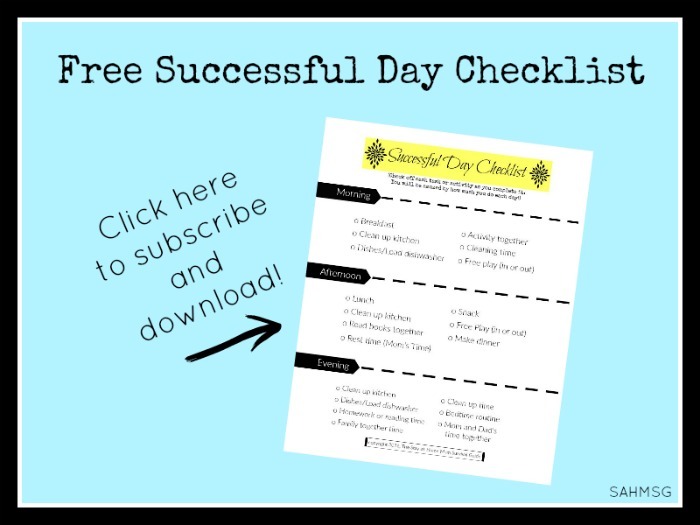 Whether you are a first time homeschool mom, or one who is looking for new ideas and resources to use in your preschool homeschool, I have a great list here for you! These are some of my favorite learning activities for preschool at home. They will be the core activities that we will use in our preschool homeschool this year. So exciting! To learn about the developmental stage that most preschoolers are in from ages 3-5 years old, you can read my Crash Course in Child Development post all about the Preschool stage. Now for the 40+ Preschool Activities! It is simple to teach a preschooler to spell their name and to count the numbers in order with these two simple personalized songs that teach. Practice “writing” the letters by painting using this easy activity. Great for artsy kids who are not interested in tracing the letters. Your preschooler can learn to spell their name with this activity that teaches them to put the letters of their name in the correct order. You use paper plates to create this name spelling game. 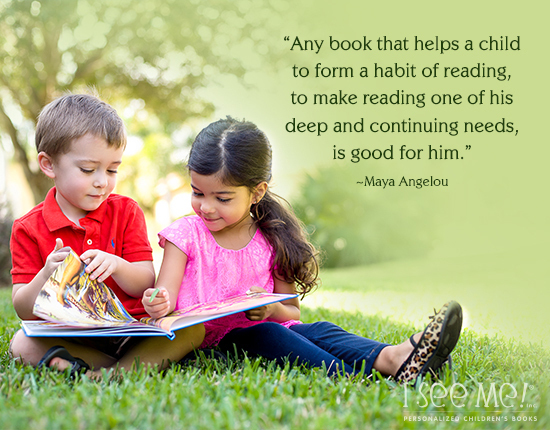 Reading is not only a cuddle time activity, but one that establishes a connection between learning and love. 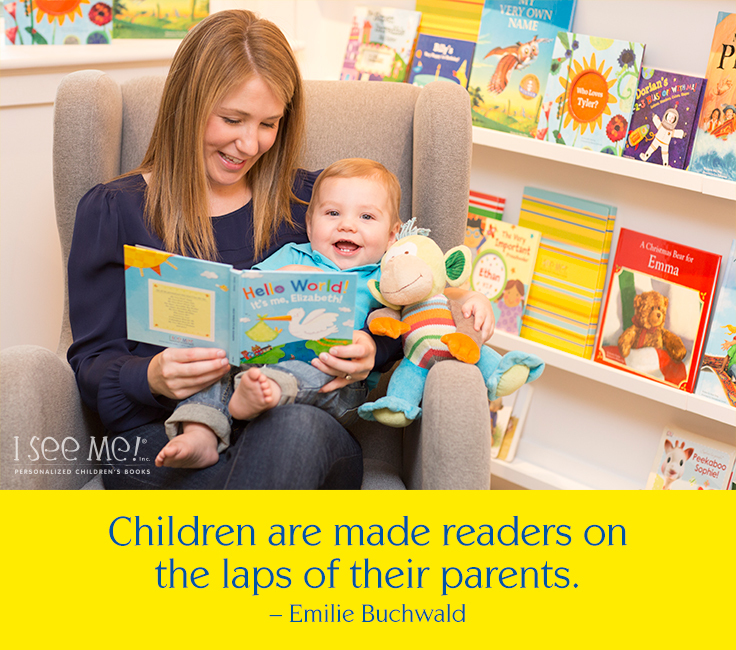 Reading a variety of books to your preschooler is an important activity to do at home. 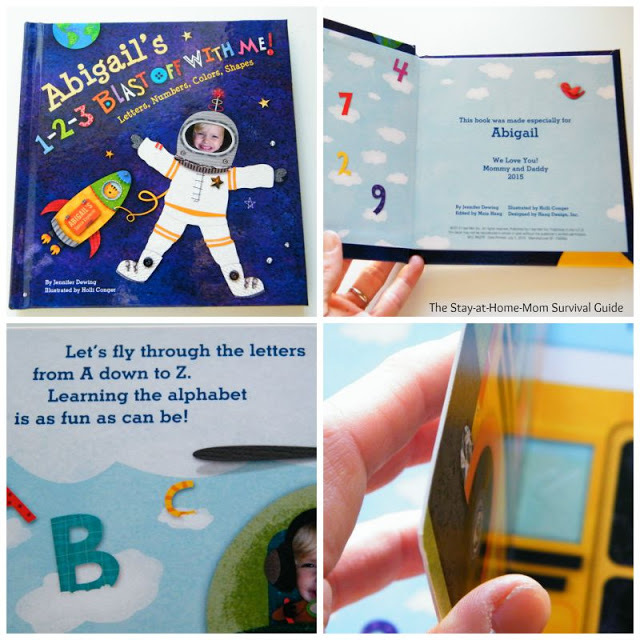 Personalized children’s books are a fun way to get your child excited about learning. At the end of this list is a giveaway for you that includes personalized gifts! A DIY felt board that can stick to the front of the fridge creates a learning space in the kitchen that allows children to explore shapes, story characters and retelling or simple songs and chants. Children love to learn the names of their favorite animals. This activity teaches a child to read animal names with simple animal names tags. It’s a fun way to add literacy to their play. Children will enjoy creating their own book that teaches them to be thankful. This is a great multi-disciplinary activity that helps children write and create their own book. Learning to identify shapes and letters is an important academic skill for preschoolers to master. Use leftover stickers to create this simple learning activity to learn letters and shapes. Put the letters in alphabetical order with a stacking activity that uses plastic Easter eggs-great for all seasons! Explore science concepts and engage your preschooler in science discussion using this activity for making DIY sensory bottles from old baby bottles. This activity explores measurement, chemistry, and color mixing. Spend the day learning about trees and nature with activities for outside and inside. Preschoolers can learn all about anatomy with this free printable activity. It is a personalized way to learn where the bones are in the body at a preschool level. Do you have a child who loves learning about dinosaurs? This book-based activity about dinosaur tracks includes steps for creating your own DIY dinosaur footprint sponges for painting. Included are links to an entire book-based dinosaur activity series. Use play dough to create a counting activity that teaches preschool kids both number symbols and amounts. Really inexpensive to make too! 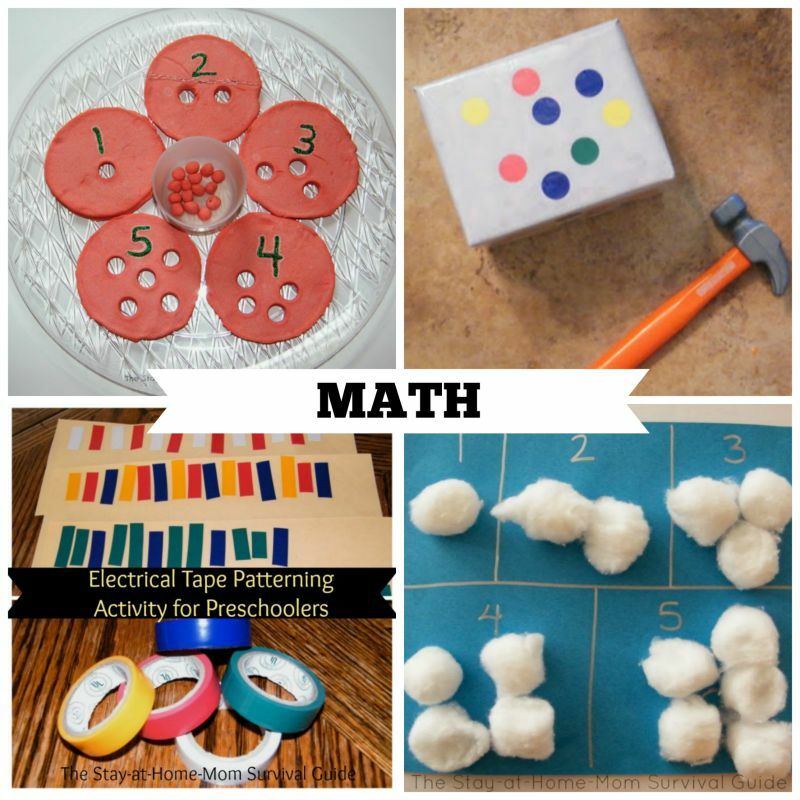 Exploring and playing with patterns is a strong math skill for preschool kids to learn. These simple ideas for learning about patterns with your preschooler will set a great foundation for learning future math concepts. Create your own puzzle out of play dough to encourage matching and fine motor skills. Whether your preschooler still needs to learn their shapes, or is ready for numbers, this activity with an apple tree theme can be adapted for your child’s readiness. Use cotton balls to count in this fun snowy day themed activity. Turn banging into learning with a toy hammer and box. This activity teaches letter and color identification. Kids get exercise and learn basic concepts with these fantastic DVDs and CDs for kids that I had the chance to try out with my children. They are a favorite to listen to and watch in our house. Some children learn best when they can be active and move to learn. This activity is a hopscotch-like game to teach preschoolers how to spell their name. Included is a link to an entire active learning series for kids! 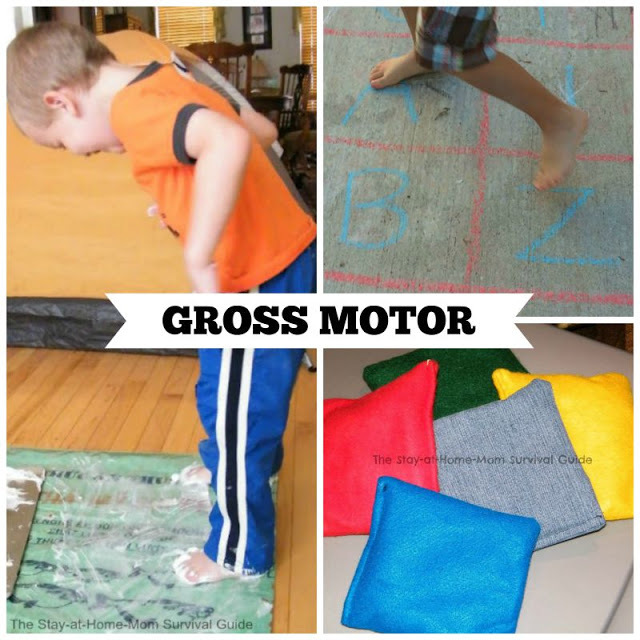 This sensory activity is also a gross motor challenge! Try playing with shaving cream indoors to get moving and work on balance…plus have a little messy sensory fun. Preschool aged children need time outside to explore and play. These ideas are for some exercise and learning at the playground that gets your preschooler moving and exploring. DIY bean bags and a simple bean bag toss game allows a preschooler to throw, take turns, and count! Play hopscotch indoors with a DIY yoga mat hopscotch game whether you have a rainy day, or are just looking to move to get some wiggles out before a table activity. This is great for learning balance, counting and taking turns. Journaling is something that preschool kids can do! Creating a simple journal for daily drawing or writing practice is a great keepsake as well. 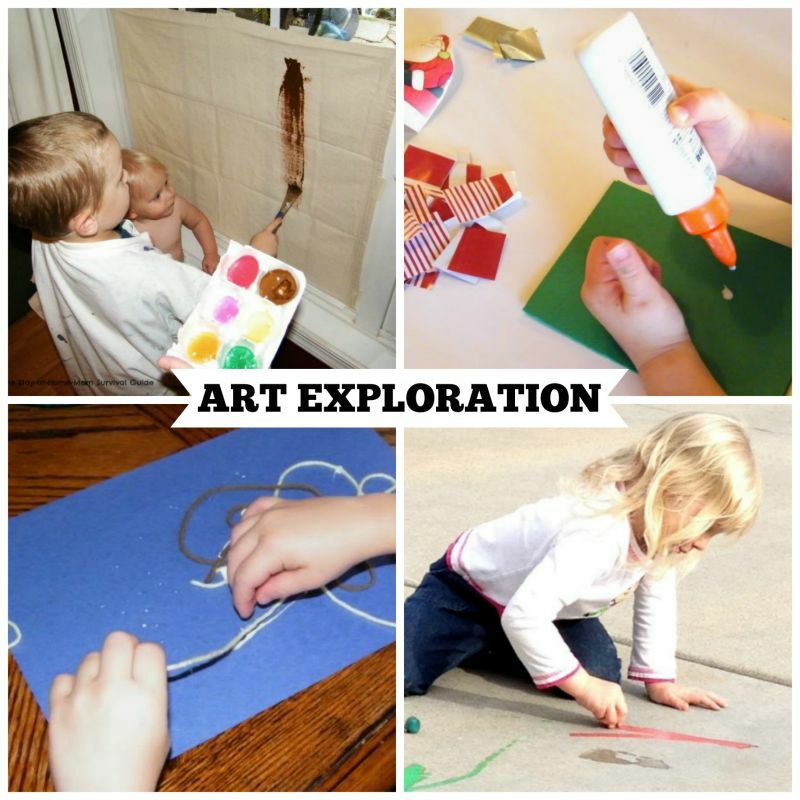 Try the idea in this list for expanding a child’s creativity by providing a simple large canvas for them to paint on using a drop cloth or scrap of fabric. Create vibrant chalk art pictures outdoors when the weather is nice using this simple idea for sidewalk chalk art. Preschool kids can practice creating and writing their name by making these DIY thank you notes using gift wrap scraps-perfect for holiday time! These simple ideas to upcycle items you already have at home into art tools, allow children an easy way to create and explore art! All you need is yarn for this activity that includes a great book to read as well. 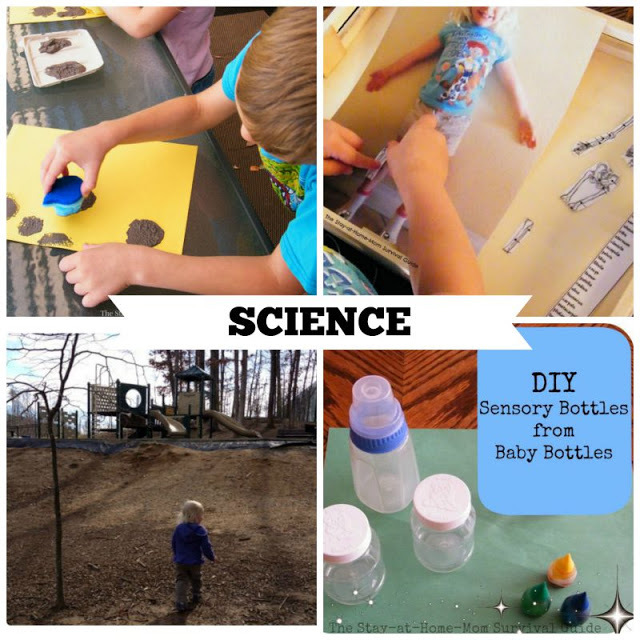 Sensory bins are fairly simple to set up and children can really explore. This simple oats and salt sensory bin idea also links you to the 40 Days of Sensory Bin Fillers Series-you will never run out of sensory ideas with that list! No matter the age of a child, water play is always fun! Children can explore scooping, pouring, volume, measurement, comparison and sensory play with these tips for playing with water indoors. You don’t need to spend a lot on dress up clothes to give your child chances to explore and learn in pretend play. Try this idea for creating DIY dress up vests that can be personalized. Make some DIY jumbo building blocks and your child can build using their engineering skills as well as play with their creations in fun ways. You will laugh when you see what my kids built! It does not get simpler to teach preschoolers to care for their community than by having them complete this simple community service project. 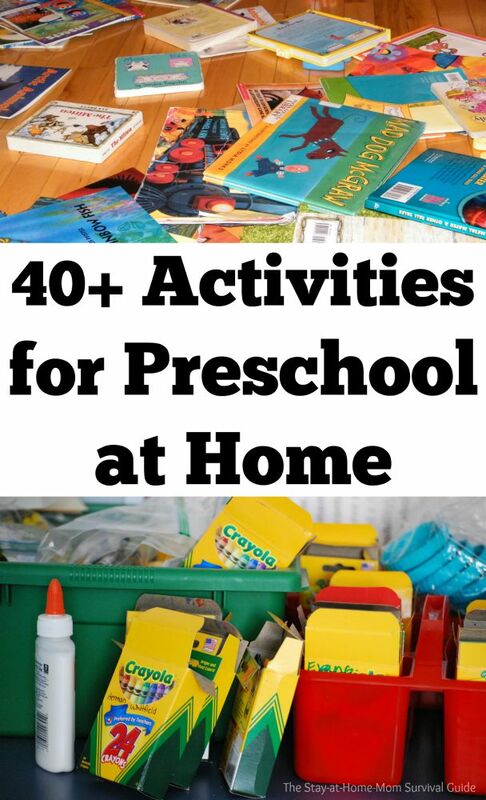 Explore over 40 links to great resources for preschool activities to do at home for your homeschool preschool learning. 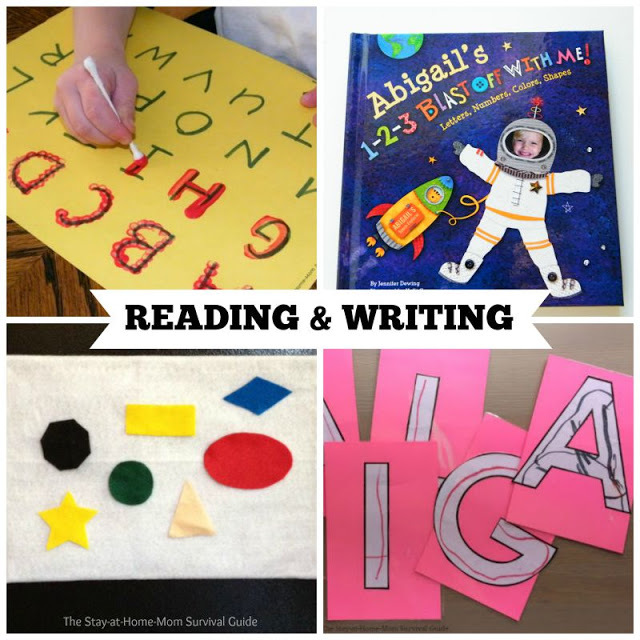 Here is a great book-based activity and craft kit resource. In case you’d like to supplement by purchasing some preschool curriculum. I See Me Personalized Children’s Books has a back to school special. photo and name, plus a special message from you to remember the occasion. The book we have 1-2-3 Blast Off With Me! teaches numbers, colors, shapes, and letters. I was able to personalize the book with my preschool child’s name, and photo so it could be a special memento of her preschool year at home. I was very impressed with the convenient size and durability of the personalized book. It is very sturdy-it survived our road trip from California to Oregon and back! 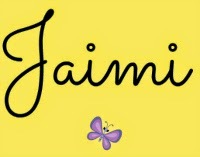 The personalized gifts for kids from I See Me will be a favorite in your house. I See Me offers children’s books and an array of personalized gifts to get your child learning about basic concepts and building self-esteem by getting to read books that include them! I See Me offers a variety of personalized gifts such as lunch boxes, growth charts, coloring books, puzzles and more! 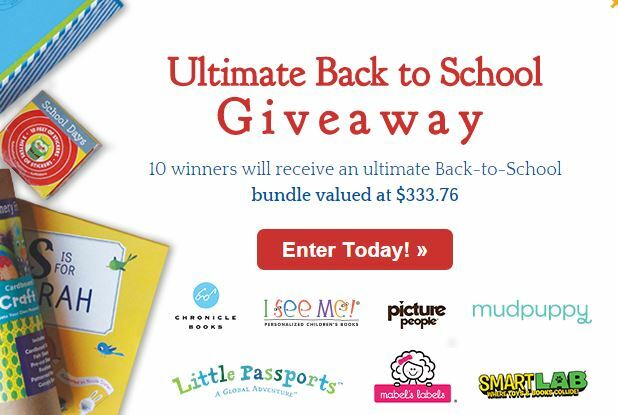 You can enter for a chance to win a great Back to School prize package below! 10 winners will receive an ultimate Back to School Bundle. Subscribe to the Survival Guide newsletter to receive weekly updates plus snippets of mom motivation via email. 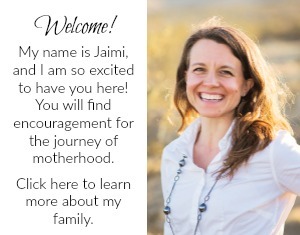 Join with me and other moms over on Facebook, Google+, Twitter, or Pinterest. Thanks Jaimi for sharing this post. I home-school my children and this will help me cover all areas of learning! Please keep posting more fun learning activities. You bet! I love sharing simple activities that teach. You are amazing with all you do. Thanks for stopping by. I look forward to sharing more! My daughter is going into Kindergarten but I think some of these would still be great activities for her. Great list.